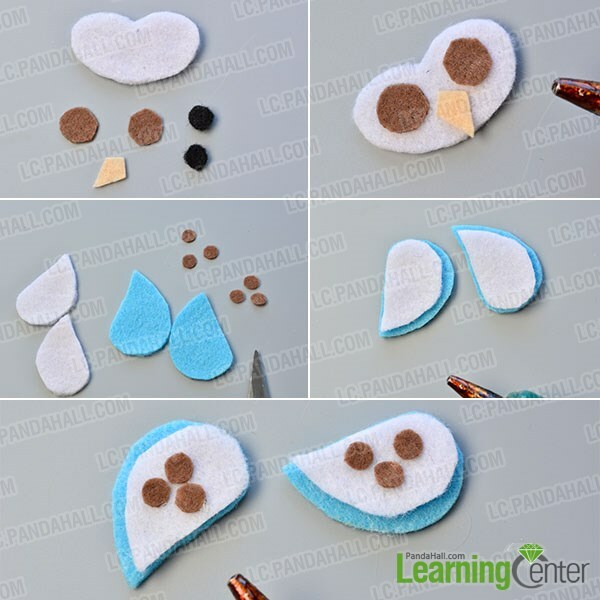 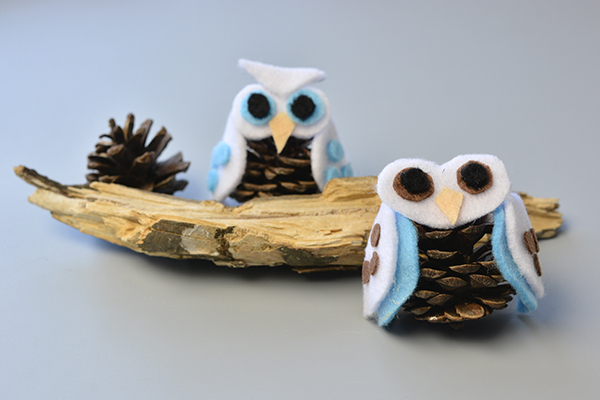 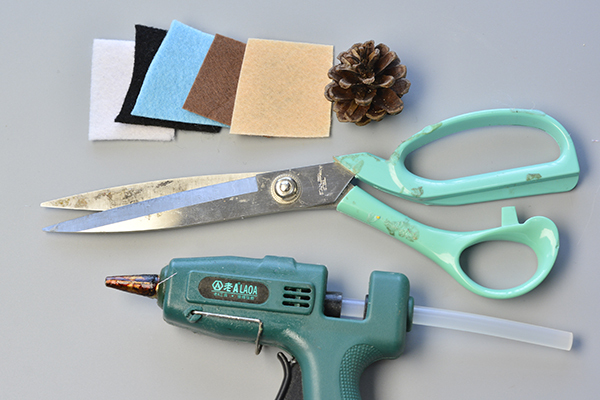 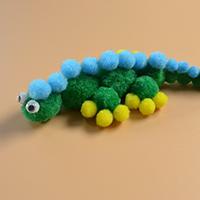 4th, paste the white felt on the light blue ones and then brown little round felt on the white felt with glue gun. 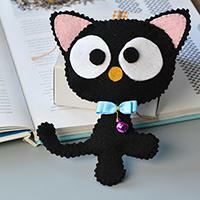 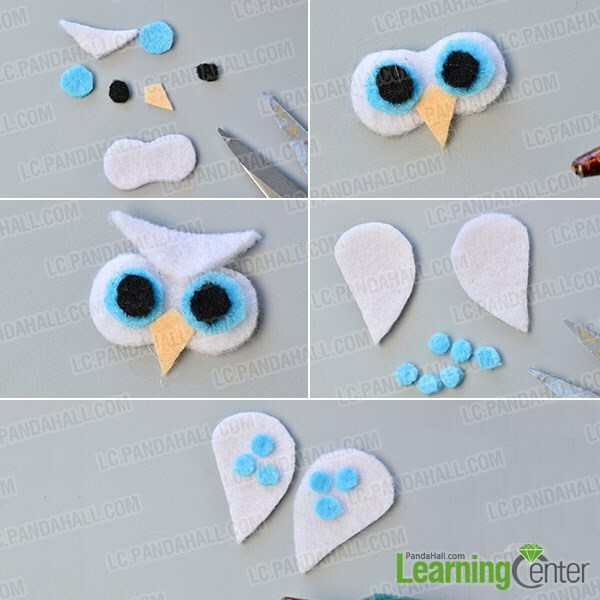 2nd, continue to paste the felt wings on right and left side separately. 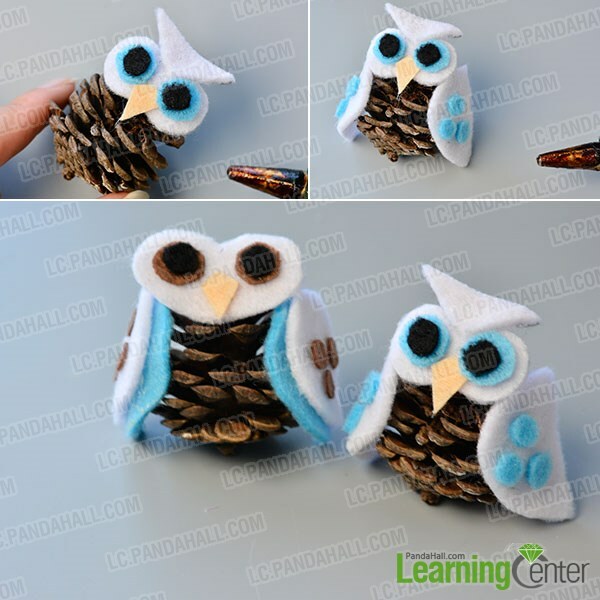 5th, paste the light blue round felt on the white wings respectively. 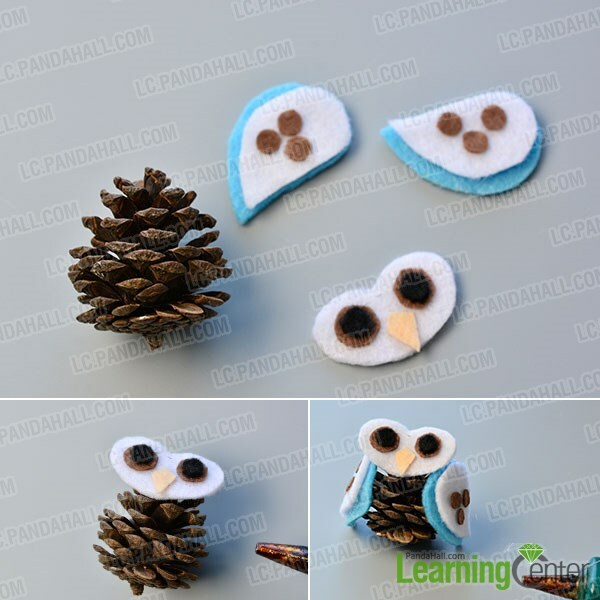 2nd, continue to paste the wings on the right and left side of the pine cone separately.